A Quotation by Thomas Griffith Taylor. “Cherry had Michael, a steady goer, and Wilson led Nobby — the pony rescued from the killer whales in March…. Christopher, as usual, behaved like a demon. First they had to trice his front leg up tight under his shoulder, then it took five minutes to throw him. 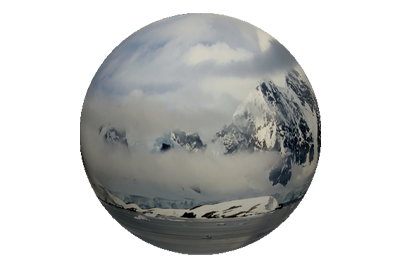 The sledge was brought up and he was harnessed in while his head was held down on the floe. Finally he rose up, still on three legs, and started off galloping as well as he was able. After several violent kicks his foreleg was released, and after more watch-spring flicks with his hind legs he set off fairly steadily. Titus can’t stop him when once he has started, and will have to do the fifteen miles in one lap probably! 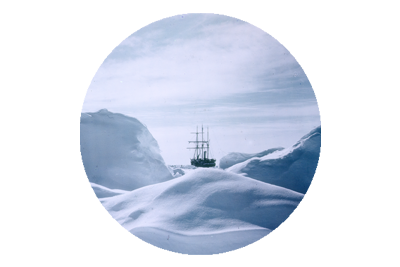 On November 1st 1911, Captain Robert Falcon Scott departed the base camp hut at Cape Evans, for the last time. The Pony Party consisted of Scott and nine other men, each tasked with leading a pony along the route. It was the second phase of the disjointed exodus south, the men and ponies following in the wake of the Motor Party, which had forged ahead on October 24th. Cecil Meares and Demitri Gerov would complete the number of the sixteen man team, by following Scott’s group with a dog team. Those remaining behind at Cape Evans, gave the departing group a cheering send off, and watched on, as they gradually disappeared south into the vast Antarctic whiteness, some never to return. Even by the time they had vanished from the view of those at the hut, the problems facing Scott’s group were patently evident, as each man battled with the particular temperament of the ponies they were handling. Some of the beasts galloped uncontrollably while others had to be coaxed and almost dragged forward. Tom Crean led one of the calmer ponies named Bones, as did Cherry Garrard, who guided Michael, a pony Taylor had noted as “a steady goer”. Tom Crean with the pony Bones. 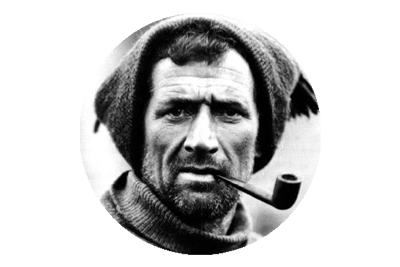 Many of Scott’s men had deep rooted misgivings about their Captain’s decision to use ponies to haul supplies across the ice, and none more so than the chief pony handler, Lawrence Oates. Nicknamed ‘The Soldier’ by his Terra Nova fellows, the popular Oates was an English cavalry officer, who had served with honour in the Boer War. He had applied to join the expedition, having become somewhat disillusioned with life in the army, and Scott had taken him on board, mainly because of his vast knowledge and experience with horses. The Motor Party departs for the South Pole & the Southern Journey Begins. On This Day – October 24th 1911. William Lashly standing by a Wolseley motor sleigh during the British Antarctic Expedition of 1911-1913, November 1911. 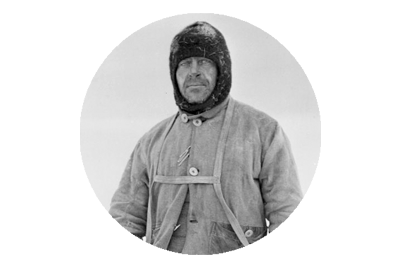 Captain Robert Falcon Scott’s assault on the South Pole was finally set in motion on October 24th 1911, when the “Motor Party’ rolled out of Cape Evans with two motorised sledges, which carried vast quantities of supplies, including fuel, food and vital equipment. Scott’s order, issued to Lt. Edward Evans was that the motors should proceed to Corner Camp, then onward beyond One Ton Depot, hauling the cargo to latitude 80° 30′ S, where they would wait for the rest of the party to catch up with them at that point. The entire Southern Party consisted of a total of 16 men. Lieutenant Evans, William (Bill) Lashly, Bernard Day and F.J. Hooper comprised the Motor Party, which took the first tentative trundles towards the South Pole, on that October 24th. Scott and nine of the other men selected, followed in the wake of the motor tracks on November 1st 1911, with each man tasked with navigating a pony and sledge through the icy, inhospitable landscape. The complement of 16 would be completed by Meares and Demetri, who would follow them, with 23 dogs pulling two sledge loads of supplies. For a brief while the Southern Party gained a 17th member, when Demetri took the expedition’s photographer Herbert Ponting, to the Barrier’s edge, to enable him to capture cinematograph film of the group as they ventured south with the ponies.